Firstly, I would like to say she is one of the nicest people I have ever dealt with. The whole experience was a pleasure to deal with. For me communication is key, the blogging world isn’t always the easiest. She let me know when she would be making a batch of candles and let me pick the scent I would like to receive. It was sent first class recorded and was with me within one day. I am a complete and utter candle lover, I have a very shameful collection that seems to grow with most trips into town or the supermarket. I’m a sucker for fresh smelling scents, which is a good thing because this pregnancy has been kind to me #morningsickness. The candle comes in a sleek silver tin with the logo it’s very appealing to the eye. I believe less is more. A few weeks ago, I was kindly sent a candle from Charismatic Cat Candles. I decided on the scent “clean cotton”, something about the smell of clean clothes coming out of the washing machine makes me feel nice and warm inside. Yeah the simplest things in life satisfy me. As soon as the candle arrived, that’s what I was instantly reminded of. I could not wait to light it up, sit back, and enjoy the fresh smell that quickly took over our bedroom. This candle reminds me of the Yankee one but at a fraction of the price, it retails for an amazing £4.75. I’ve already told John (my husband) that we will buying one of these to pop into the babies room once we’ve got it all set up. I believe in helping out small businesses, who are just setting up. This is honestly one of the best scents I have owned. They are all homemade with plenty of different scents and colours to pick from. You can find her Facebook page here. Small businesses offer a service that the larger one size just can't do. I love great service! Wow such a cute design. 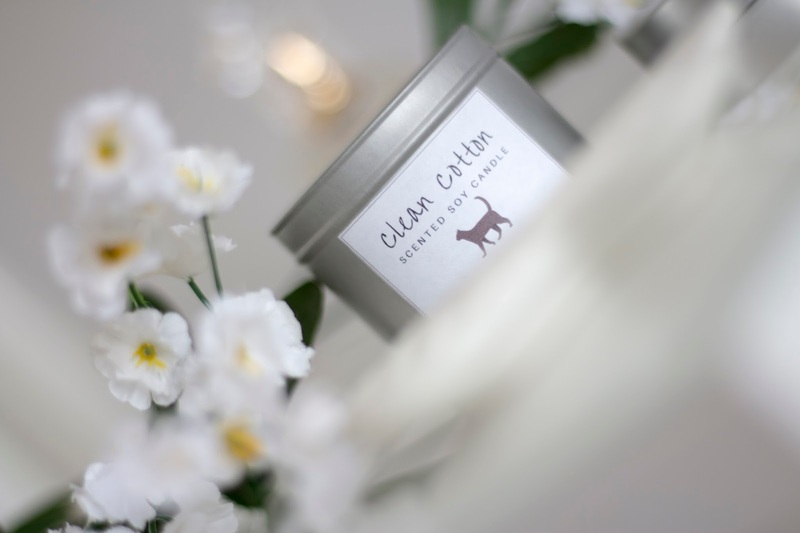 I think the smell of clean cotton is my favourite type of candle. Such a lovely cute design! Especially as there is a cat on it and I am a cat lover!! Would look lovely on display in my bedroom and I am always buying new candles. I wish I appreciated candles more! Though this one sounds so good I might see if it makes me fall in love. I love supporting new start ups too and blogging is such a good platform to do it from. This looks super cute and for the price it is a steal! I love when companies are so helpful and kind, and it sounds like this brand is amazing at that. OMG how amazing does this sound!? I love how simple the tin is, and you can't beat that price. Wow, I'm amazed that you got this beautiful candle for such a cheap price!! I will definitely be checking out this brand as the scent sounds amazing! Thanks for sharing! This looks and sounds really pretty and it's great that it's such a bargain compared to the pricier brands that are out there. I do always resent spending too much money on something I'm going to burn! This candle looks amazing! Love that its in a tin, makes different from all the other candles in glass.